Justices, judges, educators, and students from around the state gathered at a summit convened by California Chief Justice Tani G. Cantil-Sakauye to talk about the progress they’ve made in the last four years in advocating for civic education in California and to discuss next steps. 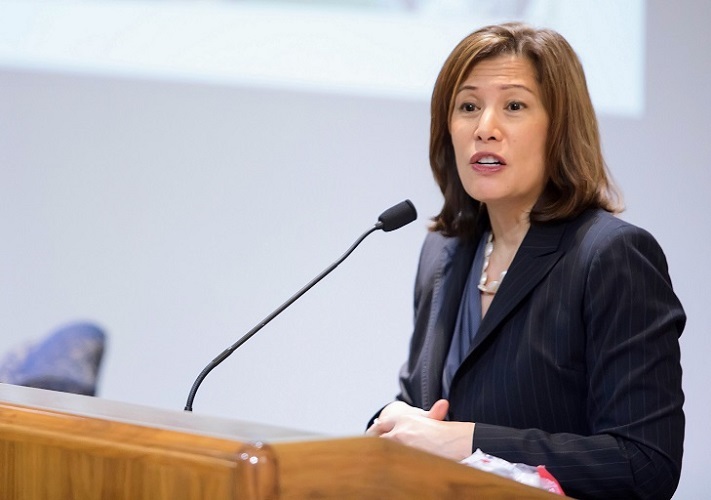 The summit, held Feb. 14 in Sacramento, featured Chief Justice Cantil-Sakauye, U.S. Supreme Court Justice Anthony M. Kennedy, and State Superintendent of Public Instruction Tom Torlakson. ​Justice Kennedy stressed the importance of teaching democracy and the constitution at a young age. "It's inspiring to hear our young people today," Kennedy said, referring to the students from former Civic Learning Award winning schools. "But we have measures of countless students who do not know the meaning of our heritage, who do not know the meaning of freedom," he added. To view captions click "i" on the player above. Focused on the future of civic learning in California, one of the summit panels discussed equity and access to civic learning opportunities, which include civic efforts across the country to reach youth in the juvenile justice system and English-language learners. The panel included Stacy Boulware Eurie, presiding judge of the Juvenile Court in Sacramento County; Simon Canalez, district superintendent for Brawley Union High School; Ted McConnell, executive director of the Campaign for the Civic Mission of Schools; and Mike Kirst, former president of the State Board of Education. Chief Justice Cantil-Sakauye closed the summit by emphasizing the importance of teaching young people about how the justice system works and the role of impartial courts. She acknowledged judicial officers and courts that are involved in public outreach programs, which include Peer Courts, JusticeCorps, and Keeping Kids in School.